There’s nothing as sweet as the flesh of the watermelon on a hot summer day, except of course, knowing what’s causing your yellowing or browning watermelon vine. After all, knowledge is power and the faster you can get to the bottom of your watermelon leaves turning brown or yellow, the sooner you can help it get back to the business of making melons. Nitrogen Deficiency – Both young and old leaves can show signs of nitrogen deficiency and may appear any shade of lighter green to yellow. This is common during both dry spells and when plants simply aren’t being fed enough. Increase irrigation if the weather has been dry; add some mulch and keep your plants well fed with nitrogen. Fusarium Wilt – Wilt fungi are problematic because they’re nearly impossible to treat and they creep up so slowly. The fungus penetrates the water-carrying tissues of your watermelon vines and as it grows, slowly blocks them. Unable to get any water at all, these tissues yellow and die. There is nothing you can do for Fusarium Wilt but remove the plant from the garden and begin an aggressive crop rotation to protect future crops. 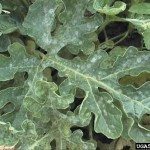 Southern Blight – If your watermelon plant has yellow leaves and the fruits are beginning to rot, Southern blight may be to blame. 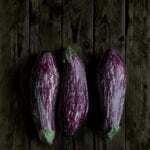 It works in much the same way as Fusarium Wilt, plugging the plant’s tissues and drying them from the inside. Southern Blight can attack much more quickly than Fusarium, but is also impossible to treat. Alternaria Leaf Blight – Watermelon leaf spots that started as small flecks, but quickly expanded into irregular brown spots as large as ¾-inch across, could be caused by Alternaria. As the fungus spreads, entire leaves may brown and die. Neem oil is effective against this fungus, spraying liberally once a week until the spots are gone. 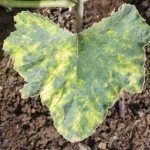 Angular Leaf Spot – If your spots are angular instead of round and follow the veins of your watermelon’s leaves, you may be dealing with Angular Leaf Spot. Eventually, you’ll notice the damaged tissues falling out of the leaf, leaving an irregular pattern of holes behind. Copper fungicide may be able to slow the spread of this disease, but dry weather and very dry leaf surfaces are the only truly effective cures. Phytophthora Blight – Phytophthora is no more fun than Fusarium Wilt or Southern Blight and it’s just as hard to deal with once it has taken hold. Instead of yellowing though, your leaves are likely to turn brown, along with the stems connected to them. In very bad cases, the entire vine may collapse. Crop rotation is highly recommended to prevent future outbreaks. Gummy Stem Blight – Browning that starts at the leaf edges and moves inward, bound by watermelon leaf veins, is very likely caused by Gummy Stem Blight. This disease often takes hold near the crown of the plant, killing entire vines in no time. 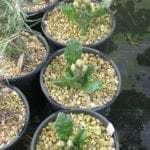 It is very difficult to treat once it has taken hold, and this is another case where crop rotation is needed to break the organism’s life cycle.